All generations of the Seat Toledo, barring one have been hatchbacks. For 1999, the second generation Toledo astounded the world with its saloon format (except in Britain where it was a hatchback**). By 2004 the status quo ante resumed and remains so. In the 1970s quite a few manufacturers experimented with the 5-door format but reverted by the early 80s. We know this. Don’t write in. That isn’t quite the focus of interest today. Underneath my saloon-to-hatch-to-saloon inquiry lies the vague idea that someone out there thinks one format is superior, some of the time. Is that true? This question occurred to me as I saw a Passat zoom along the town centre nine days ago. You have to hand it to VW: the Passat is a pretty imposing vehicle and it is not easy to precisely define why. I have some ideas. They aren’t very well formulated and may be more noise than signal. Width, I ask speculatively? Is it the way the chrome bars flow into the wide head-lamps? Instead of gawping at the tail-pipe’s vanishing gasses I thought: Saloon. Saloon? Why are Passats always saloons – or why have they been thus for a really long time (since 1988). In the same time period Ford and Opel (once owned by GM) have given up on saloons for their large cars. It took Opel a very long time indeed, though. The new Insignia only comes as a hatch or an estate. The Mondeo gave up its saloon form in 2014. 1984 Renault 18 “American”: wikipedia.org (donate, please). If we look at Renault we find that ziggy-zaggy line of cars with the 18 (1978- 1989) in the middle of it. You could only get the 18 as a four door or estate. The predecessor also had only 4 doors – and this is in the middle of the hatchback boom, kicked off by Renault themselves. The 21 started life as a saloon and ended it with the singular 21 hatchback. Does that make any kind of sense? The Renault Talisman which is nominally a descendent of the 18 has four doors or is sold as an estatoid. Turning back to France for a moment, Citroen turned the world upside down and sideways with the hatchback XM. Nothing was the same after that, was it? It is well known that it had a 13th piece of glass, inside the hatchback which allowed the XM to be pretend to be a saloon: when you opened the hatch to get out your golf clubs the glass screen could stay in place to keep cold air off the back of the non-existant rear passenger. They say life is but a brief moment between infinitely long periods of non-existance. The hatchbackness of the XM is not unlike that. 1955 to 1989 it’s salooniness at Haute de Gamme. Then hatchicity erupts into the void. From 2005 to 2012 its back to salooniness and theoretically still is. In the general context of the times, the XM bucked the trend while at Peugeot they didn’t so PSA hedged its bets. Rover hedged its bets with the well-regarded 800. Interestingly it appeared as saloon in 1986, which made it the anti-SD1. I am not clear about the rationale for this: if the SD-1 disappointed as a hatchback then it made sense to offer its successor as a saloon. So was the hatchback of 1988 a bit of buyer’s regret on the part of Rover? As you can see so far, I am 580 words into this piece and there is no pattern emerging. It seems like unto a bag of rags. From 1998 to 2002 the Saab 9-3 (body 9400) existed as 3 or 5 door hatch. Lovely. For the replacement that car line went saloon – in the name of complying with the standards set by the BMW 3 series, Mercedes C-class and Audi A4. That didn’t work. I wonder what the replacement 9-3 would have been. I am guessing it would have reverted to a 5-door hatch because as we know the stoutly, confirmed saloonists at BMW, Audi and Mercedes have been dallying with 5-door cars and getting away with it. After all that it still doesn’t make any sense as to why some cars have flipped and some have stayed the same for a long time. The Passat has done very well as a saloon – and yet… wouldn’t you think if it was a hatch it would complement the A4 which seems more rightly to be a saloon? 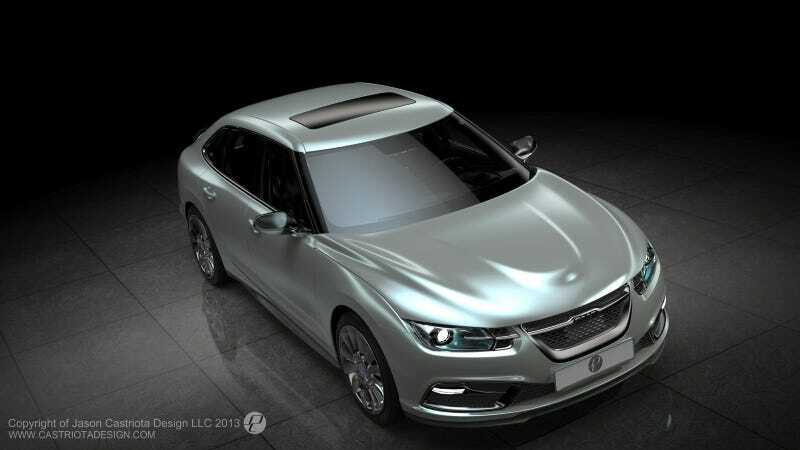 Finally, the latest development is that Peugeot are going to sell a 5-door hatchback as the replacement for the 508 which was a saloon, as was every similar Peugeot back to the founding of Peugeot in 1810. (I will tell you another time if I like this. Autocropley call the outgoing car “staid” when I remember it was hailed as handsome). Holy goodness. So, here’s another example of a flip. Would you expect this? Einstein is said to have hoped that when he died, God would explain fluid dynamics to him (count me in on that, please). My hopes for the afterlife would include a) no television, b) understanding the Oldsmobile Cutlass model history, d) understanding the Triumph Toledo/Dolomite history and e) this whole hatch versus saloon thing. Regarding the 800, my guess would be that the decision (initially, at least) to revert to a four-door saloon was driven by Honda using this format for its sister car, the Legend. ** Not really: The MK2 Toledo was a four-door saloon in the UK! Thanks for the correction. I have not seen a four-door in Denmark and thought that that version had died out. “4-door notchback saloon (Continental Europe except for Britain), 4-door saloon (Britain except for Continental Europe)” What could that possibly mean? The mark 1 is described as a five-door hatch as is the Mk 3 and Mk 4 (they call it a “liftback”). A Mk2 sometimes parks near me and I am going to look at it closely. I expect to find a saloon. It looks like a saloon from a distance. Yes, it crossed my mind that Rover started with a saloon because Honda did. Yet, if they really wanted to they could have launched it as a hatchback first. They only needed to re-engineer the body shell for extra rigidity and sort out the fifth door mechanism which is is not really a tall order. Where there is a will there is a way. The british Toledo was just a Leon with the name Toledo. Ah right. I have to say I am not really well versed in Seat´s name scheme. Right, so the British got a Leon (that´s a Golf-style hatchback) named Toledo. Wikipedia says they got a 4-door saloon. I have found an ad for a 2001 Seat Toledo in Scotland: it looks like a saloon. Hi Markus. Sorry to contradict you, but not so: we got both the Leon five-door hatchback and the equivalent Toledo four-door saloon. The Leon, with its Alfasud style silhouette, was a good looking car, even if it was merely a rebodied MK4 Golf. Good morning Richard. Wikipedia is certainly confusing with regard to the Toledo. I was intrigued by the thought of a UK only hatchback, so looked at used examples on Autotrader, all of which were booted. I’ve never seen a hybrid Mondeo on the road in the UK, although have seen quite a few equivalent Fusion hybrids in the US. That probably explains the unique four-door bodystyle. Am I being confused by the half-baked dreamlike memory of the impression that Ford stopped selling the last generation Mondeo saloon in the UK a while before its production ended? To be honest, I really didn´t expect a Ford Mondeo saloon would be there and in many ways it´s not – it´s a hybrid that happens to be a Ford Fusiondeo. Ford will do really well with this approach of US cars sent to the EU, or trying to make cars for the US that work in the EU. They won´t . Apart from SUVs, have any American saloons thrived in our beautiful continent? Only one example occurs to me: the Chrysler 300C was modestly successful in the UK (but I’ve no idea how well or otherwise it sold elsewhere in Europe). It enjoyed a bit of a cult following for its “gangsta” looks and many have aftermarket “Bentley” grilles fitted. As you say, “modestly successful” and not more than that. It benefitted from having expensively designed Mercedes bits under the drug-dealer/pub landlord exterior so they could sell it at a price low relative to the cost of the content. By succesul I mean “don´t notice them, they are everywhere” sorts of vehicles. The SUVs do that and in a way many of us are driving “American” cars now. SUVs were first an N American phenomenon and now they are here both as made-in-Canada articles and the EU makers’ interpretations. I am thinking now of a Vauxhall Cresta, a British car with Californian details. Another thought for the day – how the heck is it that Ford and GM didn´t manage to lead the SUV/CUV trend in Europe? People aren´t buying Kugas in huge numbers. Opel´s off-roader/CUVs efforts did not set the sky ablaze either. The European Ford Granada is another interesting one. A saloon for the mark 1 and mark 2, then a hatchback for the mark 3 (Scorpio), the range expanded to add a saloon variant (a la Sierra Sapphire), then the final bug-eyed Scorpio variant didn’t offer a hatchback. The Granada hatchback appeared as part of the hatch wave. It went away again as BMW et al held firm to their separate boots. I feel I need a diagram to show what I am getting at. There is a flurry of hatchiness in the post-Renault 16 period and then there is a mass of noise where a model changes from saloon to hatch or vice versa. The Toledo 2 is one of those – why, for one cycle, did they try to make it a saloon? Yes, Ford had to take a step back in the 80s when they went full hatch for Sierra and Scorpio/Granada. They underestimated their conservative customers. After that, they did in the D-segment what Opel and some Japanese manufacturers also did: they offered a choice to the customers. Not many companies did this. Renault with the 21 and VW with the Passat/Santana are European examples from the eighties. Italy and Peugeot and Volvo were three-box only while Citroën from the GSA on exclusively had hatchbacks. Saab did both as well. In the E-segment, hatchbacks were never that common, and most companies that opted for that format took a step back later (we already mentioned Ford and Citroën, but we see the same also at Saab with the 9000 and 9-5. Ah yes, the new Peugeot 508… For me it seems as if Peugeot now does Citroëns, now that they have killed the Chevrons for almost all segments above a supermini. I see a hatchback and an active suspension. I guess this vehicle is part of the recent counter-trend, where Audi and BMW decided to introduce hatchbacks with a rather sporty and ‘premium’ notion, intended for people who want to distinguish themselves from ordinary saloon buyers. Maybe the recent development at Opel, Ford and Peugeot want to mimic this in order to also appear more sophisticated. Indeed: PSA decided that Peugeot could support a large car and a hatch it had to be even if it spits in the face of three hundred years of saloons at Peugeot. Did you know their first bike was a saloon? All their pepper mills are saloons. A small memory jumps for attention in a dusty corner of my mind: the proposed new large Citroen that we discussed in the not too recent past. To put Citroen´s range into perspective. They have the C-Zero, C1, C3, Aircross, Berlingo, C4 Cactus, the C4, the Picasso twins and the space tourer. The C4 is not a super mini and nor are the Picassos. It resembles Fiat´s range of variations of the same thing. No C5 though. That isn´t really a Saab. 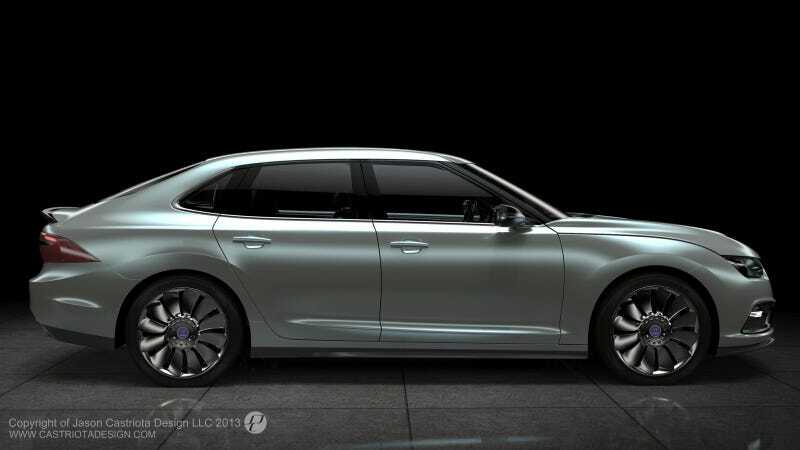 It´s something else with some Saab cues applied to it. It´s far from bad. It lacks the smoothness I expect from an aero-inspired brand. He did pre-empt the craze for swages though. Hello Eoin. How are things? Hello Richard. I’m marvellous, thanks for asking…. We seldom actually bump into each other at this forum. This post has gone well, hasn´t it? Our readers seem to have engaged with the topic. 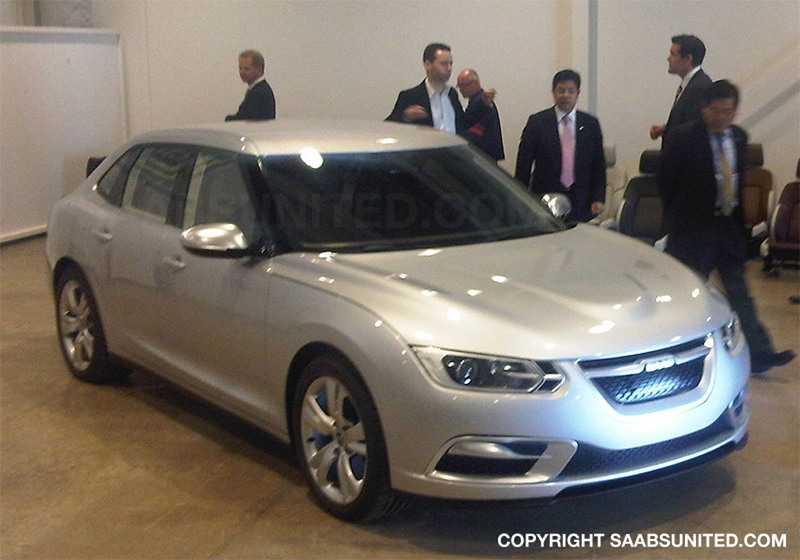 That was a good link the earlier Saab article. We also have two items about the Saab Museum too. This is how the Opel Insignia reborn as Buick Regal is to be sold in North America in one iteration. Notable past cars thus styled were the VW Dasher (Passat) illustrated, various AMCs, Mazda 626, Toyota Celica, Chryslers and so on. The term negates the apparent philisophical problem that is being struggled with here – what is halfway between a sedan and a hatch, why, it’s the liftback. Introducing ….. the Citroen Xantia, available (only) in hatch or estate. IMHO, the Xantia is a superb incantation … not a fastback and not a saloon. Not too big, not too small. With oleo-pneumatic suspension and all the good Citroen gear. Less prone to irritability than the XM. Quite reliable even. Add the CT Turbo and Activa to the options, and what do you get? One of the best range of Citroens. Or indeed, one of best “solutions” in this thread.